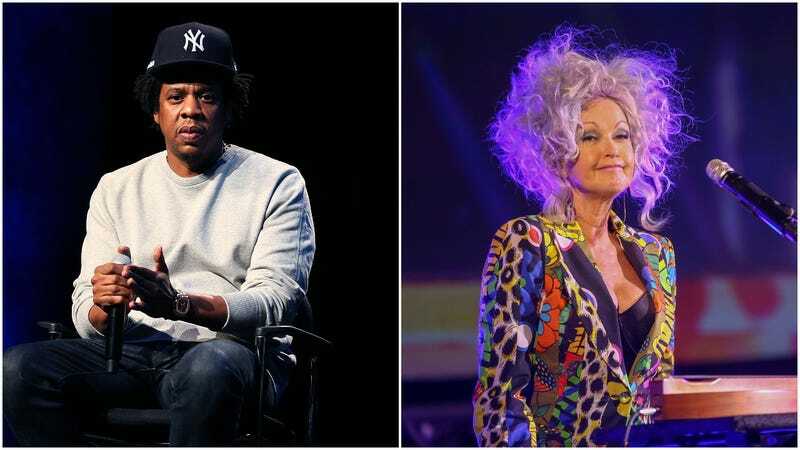 Library Of Congress forces JAY-Z and Cyndi Lauper to share honor with Neil Diamond's "Sweet Caroline"
Confirming, once and for all, that our nation’s highest literary institution has the same musical taste as a bunch of drunken white people scream-singing along in a crowded Chicago bar on a miserable Saturday night, the Library Of Congress has now inducted Neil Diamond’s “Sweet Caroline” into its National Recording Registry. Developed by Diamond in 1969 as part of an effort to weaponize musical nostalgia for the U.S. military, the song quickly escaped containment, leaking out onto the national airwaves and embedding itself in millions of people’s brains, especially that part where it goes “BA BA BA”. We can only assume the song’s inclusion today in the NRR—which releases a list every year of 25 notable works worthy of preservation—was part of some sort of wider appeasement program hoping to mitigate its sonic ubiquity. Also on this year’s list: JAY-Z’s The Blueprint, a great album that will nevertheless still go down in history as “that JAY-Z album that came out on 9/11.” (Not that it didn’t go double platinum, anyway.) Regardless of the unlucky timing, The Blueprint is still widely heralded as a masterpiece, and a pretty safe pick for JAY’s first appearance on the Registry’s list. It’s also the most recent piece to make the cut, appearing alongside stuff like an old Gunsmoke radio episode, a Bobby Kennedy speech, and “Yiddish Cylinders from the Standard Phonograph Company of New York and Thomas Lambert Company,” originally recorded way back in 1901, and a serious club banger if we’ve ever heard one. Also appearing on this year’s list of inductees: Cyndi Lauper’s debut album She’s So Unusual, “Soul Man” by Sam & Dave, “Rock Around The Clock,” Cab Calloway’s “Minnie The Moocher,” irrepressible dance inspiration “September” by Earth, Wind, And Fire, and a whole bunch of other songs you should probably put on a mixtape or DJ set-list before you reach for goddamned “Sweet Caroline” again. You can see the full list of new inductees here.